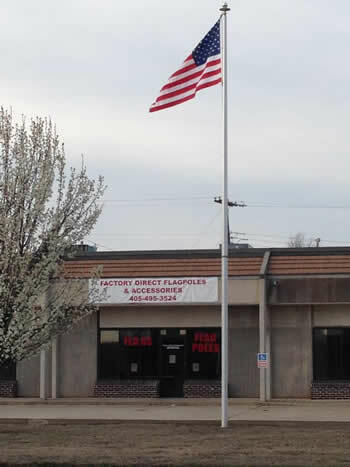 Factory Direct Flags and Flagpoles Oklahoma City! SERVING THE OKC METRO AND ENTIRE STATE OF OKLAHOMA! Why Buy From Out Of State Online Companies When We Have The Best Price And Will Personally Do Your Install! We sell Flags and Flagpoles in the OKC Metro! 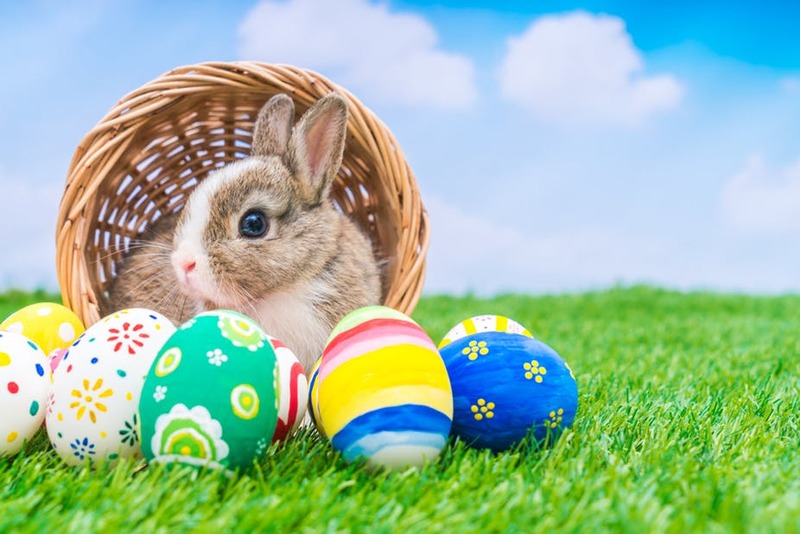 Check Out Our EASTER FLAGPOLE SALE! SAVE BIG $$$ ON THIS SPECIAL! 1/4 mile west of Broadway Extension. 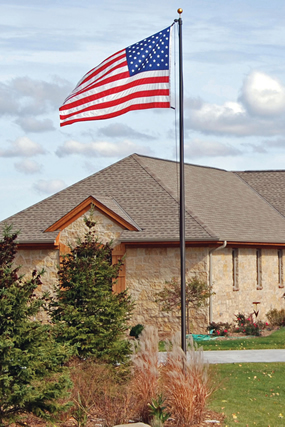 We have installed and serviced flagpoles in six states and counting! 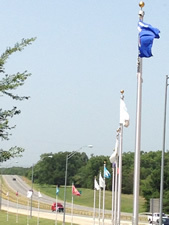 We are your source for flags and flagpoles in OKC. Our superior group of suppliers provide us with the buying power along with deep discounts to pass huge savings on to the pubic. We invite you to call, or better yet, to stop by and see our great selection of inventory of flags and flagpoles. Let us put 20+ years of experience and know-how to work for you, call us today at (405) 495-FLAG. Office Hours: 9am-5pm Monday through Friday! Our competitors can’t offer the low prices that we can due to our low overhead and buying power. Locally and throughout the state of Oklahoma we are committed to offering THE BEST PRICES across the board. If you are looking for a quality flagpole that is installed by the foremost expert in the business than you need search no further. 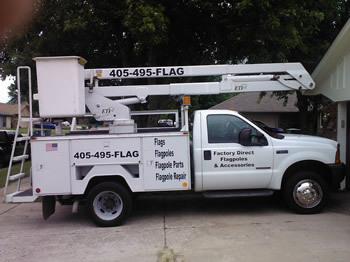 Rick, the owner of Factory Direct Flagpoles & Accessories has trained the staff of the most prominent competitors in the this market and Denver making him the flagpole authority in Oklahoma. Rick has installed and repaired flagpoles in six states and counting. We offer commercial and residential flagpole sales, installation and repair and has the ability to assess any maintenance issue. Factory Direct Flagpoles and Accessories offers free estimates and handles all of our installation and repair without subcontractors. 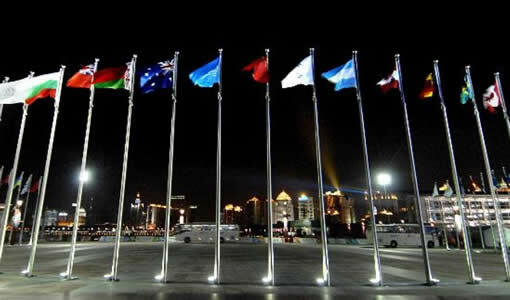 Factory Direct also stocks the largest flagpole inventory in the state with tons of flagpoles in stock from 20′ to 50′. We also stock a large quantity of flagpole parts such as trucks, halyard rope, snaphooks, flash collars, cleats and finial balls, eagles, spears and crosses to accent the top of your flagpole. Our pole top solar lights will not only keep your flag lit at night but will also not interfere with your halyard rope. We also stock American, state, military, religious and many other types of flags in all sizes. If you think our flagpole prices are low check out our flag prices as well. Custom flags can be designed and printed quickly for any occasion or need. We are conveniently located in the OKC (Oklahoma City) metro area. and with 20 years in the business there is no job to big or small. Give us a call today at (405) 495- FLAG (3524). Email us or call with any questions you may have. Prices subject to change. *Prices on our website are subject to change.